Niigata Stadium popularly known by the nickname Big Swan or technically Denka Big Swan Stadium on account of a sponsorship agreement is a multi-purpose sports arena located in Niigata City, Japan. 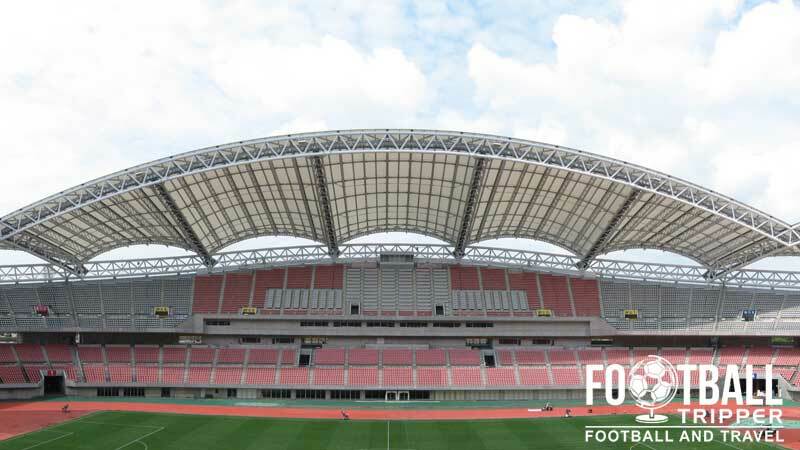 It was built for the 2002 World Cup where it hosted three matches and is currently home to Football Team Albirex Niigata. Niigata Stadium was constructed to host matches of the 2002 World Cup, although in order to be economically and socially sustainable it was created as a multi-purpose stadium with an athletics track around the perimeter of the pitch. Construction began in November 1997, and finished four years later on 29th April 2001 with plenty of time to spare for the tournament. 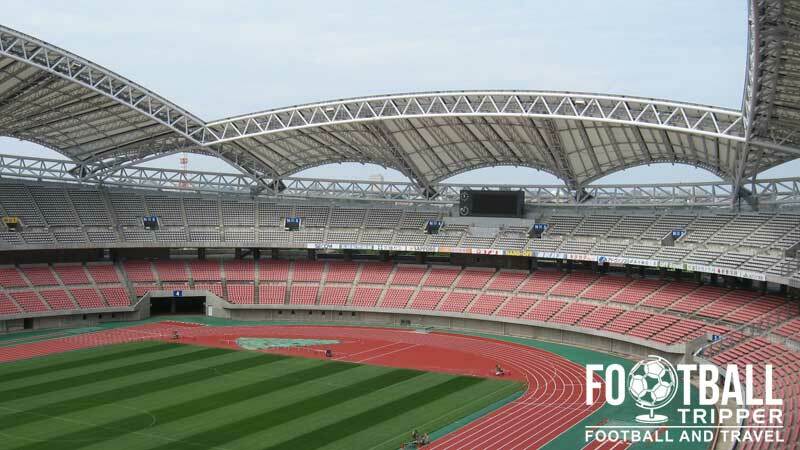 Nominated as one of Japan’s ten host venues, when co-host South Korea’s stadiums were factored in the 64 matches were essentially divided between 20 stadiums. This resulted in a smaller amount of games per stadium, and in total Niigata hosted just three matches in total. The first match featured Republic of Ireland against Cameroon which resulted in a 1-1 draw in Group E, and the second featured Croatia against Mexico, with the South American side sneaking 1 nil win in Group G. The highest-profile match was undoubtedly the round of 16 between Denmark and England, which saw the Three Lions triumph 3-nil to give the hopeful footballing nation another false dawn. 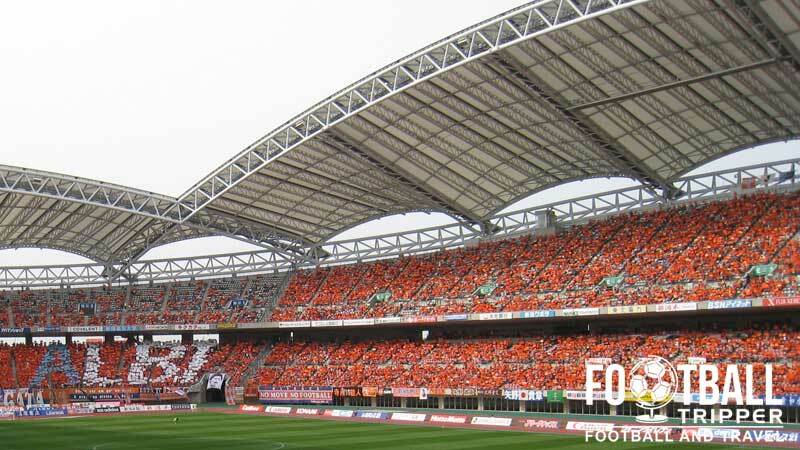 Home to local side Albirex Niigata since opening in 2001, the record club attendance was set on 23rd November 2003 when 42,223 fans attended the final game of the season. At the time Aliberex were in J.League Division 2, and needed to beat Omiya Ardija in order to become champions ahead of Sanfrecce Hiroshima. Niigata Stadium is commonly referred to by its nickname of Denka Big Swan due to its white exterior appearance, and design of the roofs. 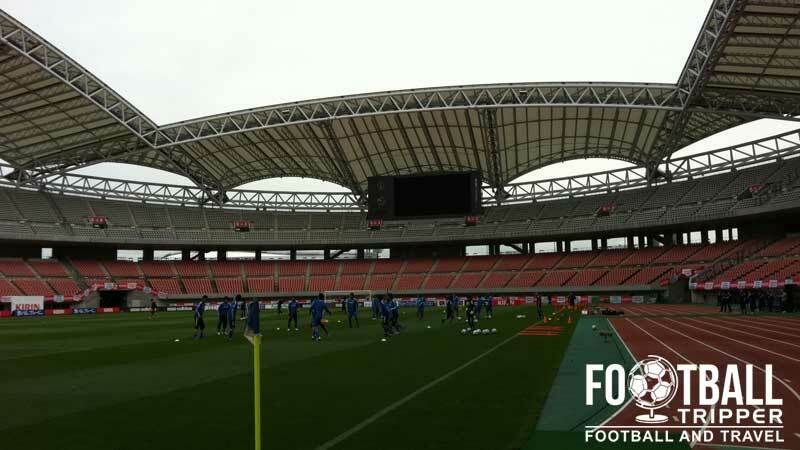 The naming rights of the ground have twice been sold, firstly to Tohouka Electric Power in 2007 and more recently to Denki in September 2013 resulting in the current name of Denka Big Sawn Stadium. Niigata consists of the following four stands: North, East, South and West.